In recent years, Sony Xperia series smart phone have gained a great welcome on the market, they have released Xperia Xperia S, Xperia P, Xperia U, Xperia Ion, Xperia Z, etc. to satisfy people's different needs. However, after a long time usage of the Sony Xperia, the contacts on your mobile phone may become messy and edit them on the mobile phone with the tiny keyboard could be an annoying yet time-consuming task. Thus, you hope to find a desktop manager to help you do the tedious work via desktop PC? If so, then you've been the right place. People are used to find answers on the Internet when they met some troubles in the daily life, but sometimes powerful as Google, also can't directly provide you needed answers for your reference. So you need to take a free trial on the offered solutions and prove whether it is useful by yourself. The process of testing and proving the effective method on the Internet, you may have spend too much time before solving your problem. 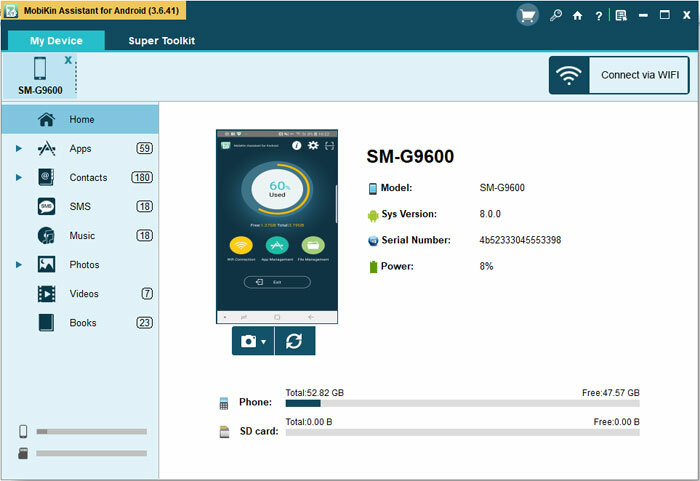 So in order to improve your working efficiency, here we could like to recommend a powerful Desktop Manager Software for Sony Xperia - MobiKin Assistant for Sony (Windows & Mac). With it, you can manage or edit Sony Xperia contacts via PC. Now, let's have a brief look on the functions of this Sony Xperia Desktop Manager software. - Not only Sony Xperia, devices from other brands like Samsung, HTC, LG, Motorola, ZTE, HUAWEI, etc. are also supported by the program. Tips: Since the Mac OS X is an operating system which is totally different with Windows system, so MobiKin also develop the Sony Desktop Manager for Mac to meet Mac user's needs. Below is the primary window of the program for your reference. That is also an interface to check whether your device is recognized by the program. If you can't find this interface on your PC, that means the program is fail to detect your device. Now, follow the below steps to learn more details. First of all, follow below ways to make your device is recognized by the program successfully. 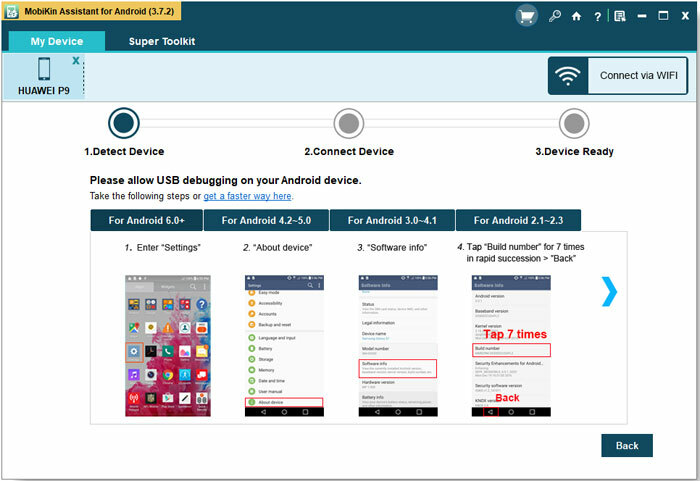 USB debugging are required to be opened here, so if you haven't done it now, just follow the below ways to enable it on your device. After the above settings have been done, you can tick the option of "USB debugging opened" and hit "Next" button to install Sony USB driver to your computer. After that, your Sony phone will be recognized completely. Files on your device will be detected at once when your phone is recognized by the program, and they will be divided into categories. Here, you can choose these options and do further editing as you like. For example, to manage Sony Xperia contacts on PC, you only need to click "Contacts" option in the top menu, then you can preview the whole contact list in the program. Here, you can click buttons like New, Delete, Backup Contacts or Modify, etc. to edit the Sony contacts according to your own needs. All settings or editing will be sync to your device at the same time. So when you have a large amount of numbers need to be edited, don't worry, just get the program to help you.